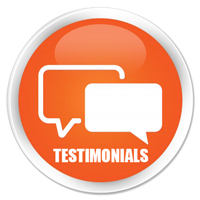 These are some of the testimonials received from our customers, telling us what they thought of our training. Just a quick mail to say thanks for the opportunity to attend the recent training course you provided with Jason. In this job every day is a learning curve as no two jobs are ever the same. The opportunity to spend two days with probably one of the industry’s best NDE experts in the UK is something that I think all locksmiths should be open to & take that chance with open arms. To be able to spend time focusing on areas I’ve struggled with in the past has been great and to focus on new locks like the Yale platinum’s & Superiors, with a ‘no question is a stupid one’ approach has made me feel at ease getting all those techniques finely tuned. Being able to practice picking with new techniques provided, and just small bits of genius input that I doubt everyone out there will know, this will now progress my skills and confidence in the work I carry forward. The course has been invaluable & worth every penny when you consider that just a couple of future jobs would cover this, and I look forward to any further courses you may offer. I would like to thank you and your team for the outstanding training and help that I needed to set up and start my own business. After completing my Colour Service with the British Army, and doing 25 years service, I have found it a lot easier to do with the help and support that has been given by yourself. As you know I have used other companies to dot he Auto Locksmith training. I have found the package that you use is one of the best. Also, I would liek to thank Andy Marshall-Brown's way of teaching. He is able to talk the walk, but able to do the walk, so lead's by example. He teaches about the trade but also the dos and don'ts needed within it to get along, which I would say is not the normal with other training providers. Due to this, I have been asked by other members of the army force about the courses I have done. I have told them about which companies and courses I have used and done, and told them to use Hickleys. I would also like to thank the team that kitted out my van to a very high standard. I have sent the photos of the setup and completion of the van onto Facebook and tagged in Hickleys. Once again, thank you for all the help. I recently attended one of your 5 day Auto Locksmith training courses at your Training Academy in Taunton. I would like to take this opportunity to thank you and all your staff for all the "extra" help, patience, skills and knowledge passed to me throughout the week. from the first cup of tea (and choccy biscuits) by Nicky on the Monday morning to the "Call me if you get stuck" closing statement from Andy on the friday afternoon, the whole week has given me the confidence and skills learnt to further my business. The course content was well established and clearly structured. The handouts, folders and slideshows were very well designed, clear and simple to follow. The trainers, especially Andy, showed patience and gave us extra one-to-one help if he saw any of us struggling. The new training rooms are fully equipped with all the latest equipment, probably because they sell much of the equipment a locksmith would need. I would have no hesitation in recommending Hickleys Training Academy to anyone wanting to set up their own business or further adding to their business of Auto Locksmithing. Recently I attended your 5 day beginners Auto Locksmith course. This has given me the knowledge and confidence to pursue my career. The facilities at the training academy were excellent and the staff were very professional. The lessons, slideshows, practical examples and folders provided were all very informative and easy to follow. The staff were very helpful and generous with their time in explaining everything. The training room was very well equipped with the latest technology. I was also very pleased to be able to purchase most of the equipment I would need from the company. I would highly recommend the Training Academy at Hickleys to anyone thinking of becoming a locksmith or wishing to update the training of their staff. I would like to take this opportunity to thank Hickleys Ltd for the time, effort and valuable expertise in the 2 day training course (Vehicle Key programming - MVPPro and Transponder Training - Zed-Bull) that I attended on the 5th and 6th March 2012. Having attended various civilian training courses throughout my 14 year career in the Royal Air Force on a variety of subjects, some were worthwhile and some were not! So when I arrived at Hickleys Training Centre I was open minded to how the course would be instructed and to what the course syllabus would actually contain. By the end of my second day of the course it was clear to me just why Hickleys are industry leaders in this specialist field. The purpose built student training environment was first rate. As was the course syllabus, which covered a full spectrum of related topics during the two days training, which was instructed by highly knowledgeable and experienced professionals. It's reassuring to me as a serving member of Her Majesty's Royal Air Force and soon to be civilian, that there are civilian companies and dedicated individuals such as Hickleys Ltd that are paving the way forward in support of military personnel who are making the transition from the military environment into the civilian employment sector. I would have no hesitation in recommending to my peers within the military community and civilians alike, that Hickleys Ltd are their first point of contact for acquiring new skills within the automotive industry and for the procurement of cutting edge automotive equipment. I would just like to say a big thankyou! Having only recently become self employed I found it to be quite a big decision to invest in the 10 day autolocksmith training course. After speaking with Nicky and Robin I felt suitably reassured that Hickleys were best placed to provide the training I needed, due to the vast level of expertise in the autolocksmith industry possessed by them. I found the course itself to be extremely well structured and also to be set out at a good pace. Not too fast, not too slow. The training was given by master locksmith Andy Marshall, his wealth of knowledge was fantastic and his ability to pass it on in an easy to absorb manner really helped. I found the course so good that I actually didn’t want it to end…. Although the course itself was fantastic and worth the cost alone, an extra addition not to be overlooked is the ongoing support from the tech team at Hickleys provided for all candidates who complete the course. This is worth its weight in gold. The experts in the Hickleys diagnostic and key programming department are amazing…. This 10 day course exceeded my expectations and I look forward to my next course at Hickleys. The course used a combination of theoretical and practical work and assessments effectively to best aid learning. I felt that I absorbed the course content quickly due to the high standards of teaching from the instructor - Andy Marshall-Brown. A great course whic I believe has given me the knowledge to move forward in my career. This was a well structured, informative and fulfilling course. The instructor was fantastic and we covered all aspects of Auto Locksmithing. We did on occasions have to stay late - however this only enhanced the learning and ensured that the whole course left with the skills required to work in the public arena.